JAMESTOWN, N.D. - The public is invited to attend a free concert by Joel and Isaac at 1 p.m. on Saturday, Aug. 25, at the Stutsman County Courthouse State Historic Site, 504 3rd Ave SE, Jamestown. The Fargo duo will be playing Civil War era music. The courthouse is open Wednesday-Sunday,10 a.m.-5 p.m.; and closed Monday-Tuesday. It is the oldest courthouse in the state and was the location of several meetings during the 1880s movement toward statehood. The building houses the most complete collection of pressed tin in the state and has recently undergone a major restoration. 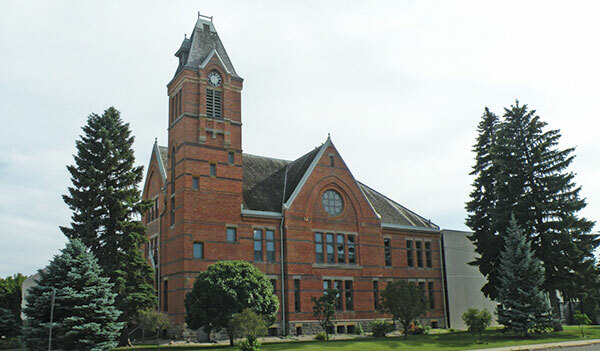 The Stutsman County Courthouse is a state historic site managed by the State Historical Society of North Dakota. For more information, visit history.nd.gov or call 701.252.1170. For more programs sponsored by the State Historical Society of North Dakota, go to history.nd.gov/events.